Agates belong to the group of micro-crystalline quartz. They are classified as semi-precious stones because their complex internal microscopic structure makes them opaque or translucent at best, which is not a feature expected to be seen with the gem-quality minerals. 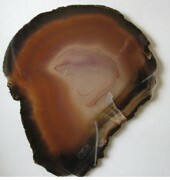 Agates are mystical stones believed to promote skills of oral presentation and public speaking. They are truly and genuinely stones of our planet Earth. No other mineral seems to be so intimately connected with the earth element as they are. According to the esoteric science and wisdom, agates are entities originating from within the crust of our planet, unlike many other stones whose archetypes have been conceived on the other planets of the Solar System and beyond. Thus, it is no surprise that the intuition of the peoples of the ancient Eastern civilizations has recognized the excellent grounding and protective function of these stones. Regardless of the actual agate variation, they all promote a feeling of harmony and prosperity, enhance creativity and stimulate the intellect. 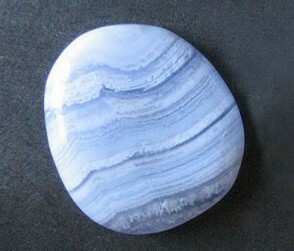 The traditional birthstone chart associates Agate with Taurus and Gemini. Our spiritual and mystical interpretation of birthstones also links Agate with Gemini, even though Agate is only an auxiliary stone of this sign (Tiger’s eye being the main birthstone of Gemini). 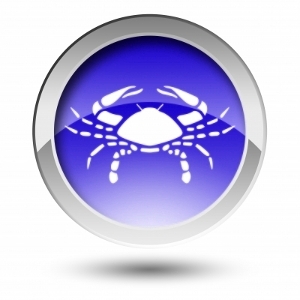 In addition, we can say that the need to stand firmly with your feet on the ground is best recognized by the earth signs of the horoscope. Therefore, more or less mysteriously, the Agate always find their way to the mineral collections of many Capricorn, Virgo, and Taurus signs. Sometimes our imagination tends to take dominant role in our lives, and we might start to loose ourselves following some imaginary, not so realistic ideas. If that is the case, we need to ground ourselves. If there comes a period in your life when you feel the need to restore your natural connection to the Earth, Agate is an excellent stone for you. What are the other metaphysical features of Agate? It bestows courage, energy, and strength upon your shoulders, as much as it dispels fears and increases your self-esteem. On the level of the physical body, agate can help with teeth problems, it can enhance your sight and protect you from the harmful environmental EM irradiation (such as the one coming from computers, TV, cell phones). Agates are believed to promote long life and abundance, and equally protect against headaches and skin diseases. 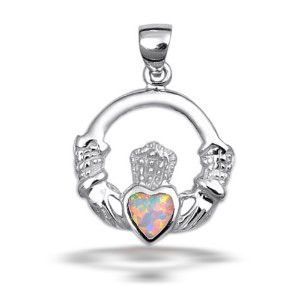 These colorful stones are everywhere, so you will have no problem finding the one you are destined to own. As these stones are not crystalline, they form no macroscopic crystals. Then, you cannot be guided by the criterion of transparency, and you would have to rely on some other properties of these minerals, such as their color, pattern, and visual attraction. Here, also the skills of the person who has done the eventual cutting and polishing can be manifested, as the final glance can actually enhance the healing and other mystical properties. According to the color and surface pattern we can further classify this class of crypto-crystalline quartz. Thus, we distinguish white agate, green, purple, yellow and brown agate, blue lace agate, fire and moss agate, and so many more.